Our product range includes a wide range of fiber glass tape and dywall jointing tape. 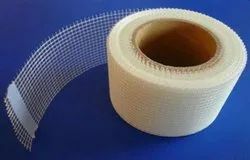 With a rich industry experience of more than 10 years, we are known as a leading manufacturer, exporter ofFiber Glass Cloth, Fiber Glass Mesh, Fibre Glass Tape and many more .used for thermal insulation. Our products enjoy the features of being alkali, heat and water resistant, & hence are used in various marine and industry applications. Our manufacturing unit is well equipped with advance process equipment for warping of yarn & weaving of yarn into fabric of desired specification. Outfitted with latest weaving equipment & technology, our weaving department enables us to produce any type of glass fabric / mesh as per their width, density, thickness and any type of weave. 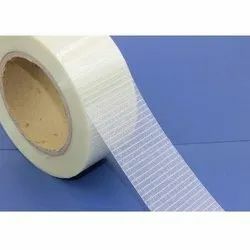 So as to accomplish high level of customer trust, we are keenly involved in offering Gypsum Fiberglass Tape. We offer them at reasonable rates.